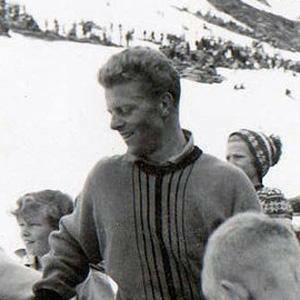 Norwegian alpine skier who won four gold medals in the 1950s, one of them an Olympic gold medal from the 1952 Oslo Olympics. He met family friend Willy Bogner, a renowned skier, who inspired young Stein to take up slalom. He conquered the world of slalom at 22, then revolutionized the sport by teaching new athletes. His father was an Olympic gymnast and his brother, Marius Eriksen, Jr., was a World War II fighter ace in the Royal Norwegian Air Force. He and explorer Roald Amundsen were both products of Norway's cold climate.